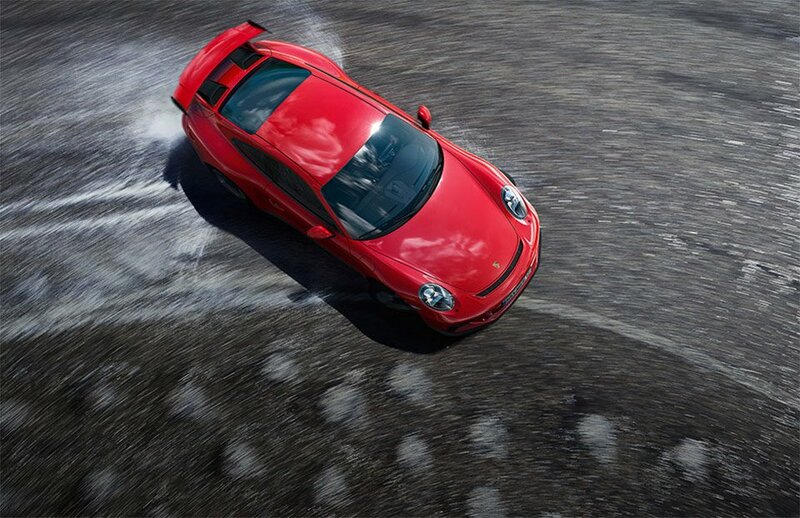 Porsche has taken the new 911 GT3 to the legendary Green Hell that is the Nürburgring Nordschleife. The first day the new car was at the track, it handily beat the outgoing 911 GT3’s lap time by 12.3 seconds – an impressive gain. The lap time for the new 500 horsepower GT3 was 7 minutes, 12.7 seconds. You can check out the speedy lap in the onboard video clip below. It is unclear who the driver of the new 911 GT3 was, or if it was the same driver that wheeled the previous model around the track. There is always the chance that the driver of the current 911 GT3 is just that much better than the old driver, or that road conditions were different. Regardless, the new GT3’s lap time is impressive, putting it right up there with the 918 Spyder, Dodge Viper ACR, and just a tiny bit slower than the Mercedes AMG GT-R.